$2210/shared room; $2365/private room; $1650/commuter for the 4-weekend series. Registrants must commit to participating in all four retreats and to completing a pre-series questionnaire. Payment in full is expected at registration. Based on the work of Parker J. Palmer and the Center for Courage & Renewal®, this four-part seasonal retreat series combines opportunities to explore within community what matters most to you and to savor rest and renewal. Through deep listening with peers, gain clarity to live in alignment with your deepest values and the courage to act with integrity and authenticity in a world that needs more awakened and alive people. Are you seeking a time set-aside just for you from the busyness of daily stress to focus on what matters most to you? Are you in transition and asking yourself: ‘What’s next?’ And, do you want the space to listen to your own inner wisdom? 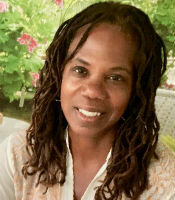 Valerie Brown is a Courage & Renewal® Facilitator prepared by the Center for Courage & Renewal. A consultant and principal of Lead Smart Coaching, LLC, specializing in leadership and mindfulness training, Valerie is a popular coach, retreat and pilgrimage leader, and author. 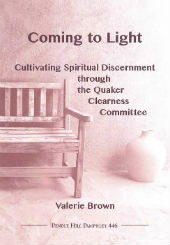 She has written four Pendle Hill pamphlets, the latest of which is Coming to Light: Cultivating Spiritual Discernment through the Quaker Clearness Committees. Her most recent book is The Mindful School Leader. For more information about Valerie, visit leadsmartcoaching.com.